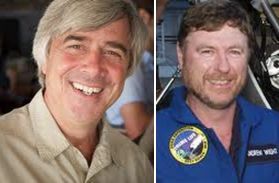 Award-winning American cinematographer Mike deGruy and Australian television writer-producer Andrew Wight have died in a helicopter crash in eastern Australia, their employer National Geographic said Sunday. The accident occurred Saturday when their helicopter crashed soon after takeoff from an airstrip near Nowra, 97 miles (156 kilometers) north of Sydney. DeGruy, 60, of Santa Barbara, California, won multiple Emmy and British Academy of Film and Television Arts, or BAFTA, awards for cinematography. Wight, 52, of Melbourne, was the writer-producer of the 3D movie "Sanctum," which took in $100 million and was Australian cinema's biggest box office hit of 2010.